Alice is jumping straight up and getting some serious air. In the warm part of 2010 we went to Dog & Duck pub. Todd and Ginger (the pictured dog) came with us, and we had a great time having lunch, beers, and watching Alice being silly. Alice had milk, and enjoyed the little corn dog nuggets. 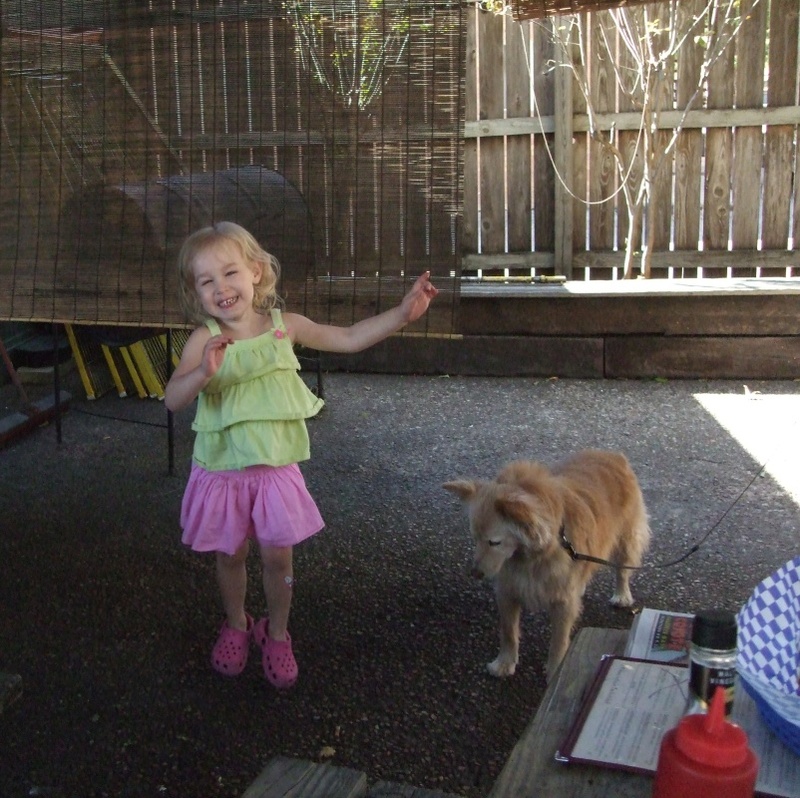 Its a great Austin pub - family friendly and dog friendly too. I have to say that your dog is the cutest thing! Love that excitement and fun expression on that sweet face!